Bob Dylan is one of the most influential and, at times, controversial figures in the music world of the last five decades. Over the last forty-eight years he has released forty-six albums and written over five hundred songs including 'Blowin' in the Wind', 'The Times They Are A-Changin', 'Like a Rolling Stone', 'Knockin' on Heaven's Door' and 'Make You Feel My Love'. Selling over 110 million records around the world, his songs have been covered more than three thousand times by artists as diverse as Sonny and Cher, The Byrds, the Rolling Stones, Duke Ellington, Jimi Hendrix, Keith Jarrett, Guns N' Roses, Stevie Wonder, Rod Stewart, the Red Hot Chili Peppers, Bob Marley, Pearl Jam and Neil Young. Bob Dylan's music has been recognised and honoured with many awards. He received an honorary doctorate of music from Princeton University, New Jersey in 1970 and from St Andrews University, Scotland in 2004. In addition to winning numerous Grammy Awards, his song 'Things Have Changed' from the film 'Wonder Boys' (2000) won him an Academy Award in 2001 and his 2009 album, 'Together Through Life', entered the charts at number one in the UK and America, and charted Top Five in many other countries around the world. From his performances in Greenwich Village coffee houses, festivals and rallies in the early 1960s, to his stadium concerts of the 1970s and his subsequent worldwide tours, Bob Dylan has built his musical reputation on the strength of his live appearances. He has played no fewer than one hundred shows a year since 1988 and has performed alongside other major artists such as Joan Baez, Tom Petty, George Harrison, the Grateful Dead, Eric Clapton, the Rolling Stones and Bruce Springsteen. In 2008, Bob Dylan received a special Pulitzer Prize Citation for his "profound impact on popular music and American culture, marked by lyrical compositions of extraordinary poetic power." In summer 2008 a major exhibition of selected original paintings from ‘The Drawn Blank Series’, premiered at the Halcyon Gallery, London, to huge critical acclaim. In 2010 an exhibit of additional paintings premiered at the National Gallery of Denmark, in Copenhagen. What followed was an artistically significant publishing programme which continues to draw great interest as a source of insight into Bob Dylan. In 2012, Bob Dylan was awarded the Presidential Medal of Freedom – the highest recognition of a civilian bestowed by the President of the United States. Of Bob Dylan, President Barack Obama said, ““A modern day troubadour, Bob Dylan established himself as one of the most influential musicians of the 20th century. The rich poetry of his lyrics opened up new possibilities for popular song and inspired generations. His melodies have brought ancient tradition into the modern age. Within 50 years after his career began Bob Dylan remains an eminent voice in our national conversation and around the world." At the beginning of 2013, the ‘New Orleans Series’ opened at Palazzo Reale in Milan. In this exhibition of great prestige, curated by Francesco Bonami, Dylan pays homage to the American home of blues and jazz. 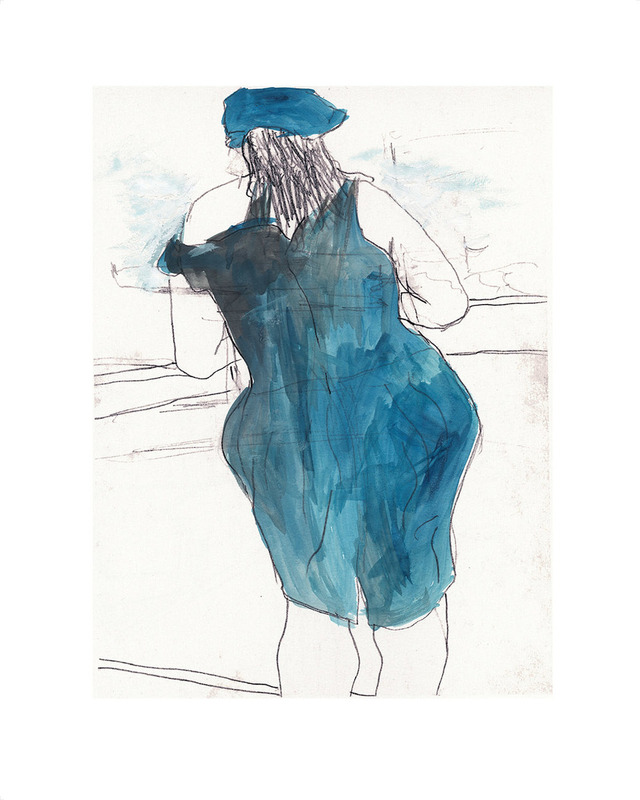 To reflect the amazing body of work contained in 'The Drawn Blank Series', a publishing programme of limited edition graphics commenced, releases in 2008, 2009, 2010, 2011 and 2012 generated huge worldwide interest, leading to many of the pieces selling out immediately. Summer 2013 sees the release of 'The Drawn Blank Series 2013', a portfolio of eleven pieces reflecting some of the best images from the collection.